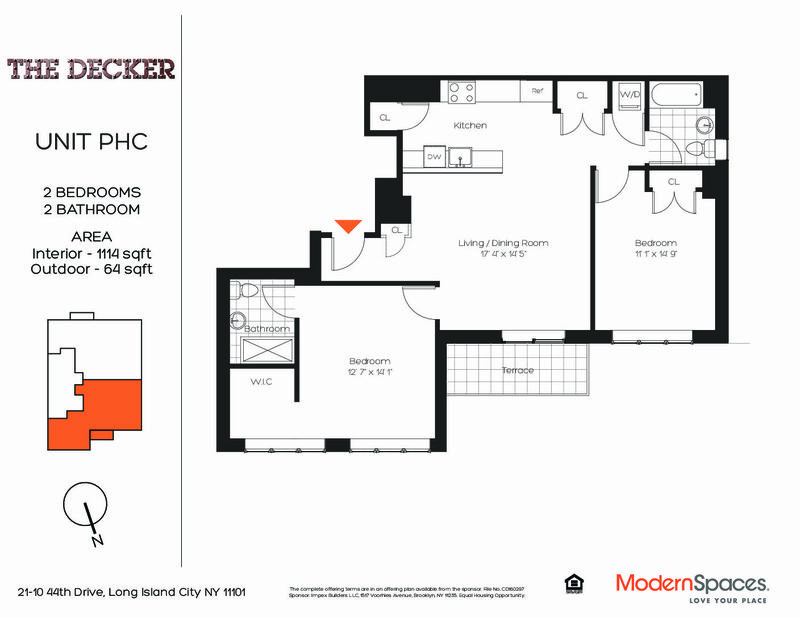 The Decker, Penthouse C, 2 bedrooms, 2 baths and storage included!! Penthouse C is the last unit available at the Decker! &nbsp; Penthouse C is the last unit available at the Decker! The Decker is an exciting boutique condominium residence with extraordinary style in a distinctive neighborhood. Long Island City’s exciting Court Square surrounds The Decker, where eclectic shopping and dining are in close proximity — with convenient transportation steps away. The striking eight-story building has been designed as an homage to LIC’s fascinating maritime history, notably a tribute to the Newtown Creek Towing Company and its tugboat, the W.O. Decker. 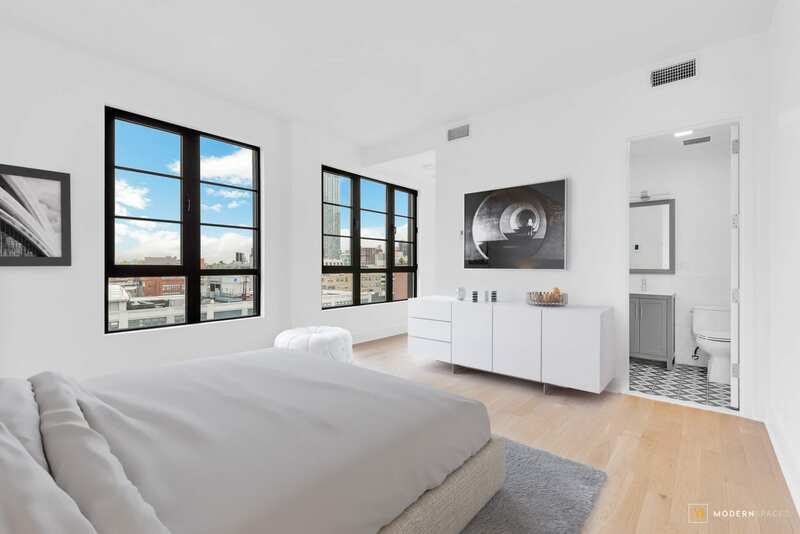 Like Long Island City itself, The Decker blends old and new, metal with wood and thoughtful design, along with unique details to create a harmonious whole in a neighborhood rich with history. The building’s mix of one, two and three-bedroom units offer expansive modern layouts to fit everyone’s needs. 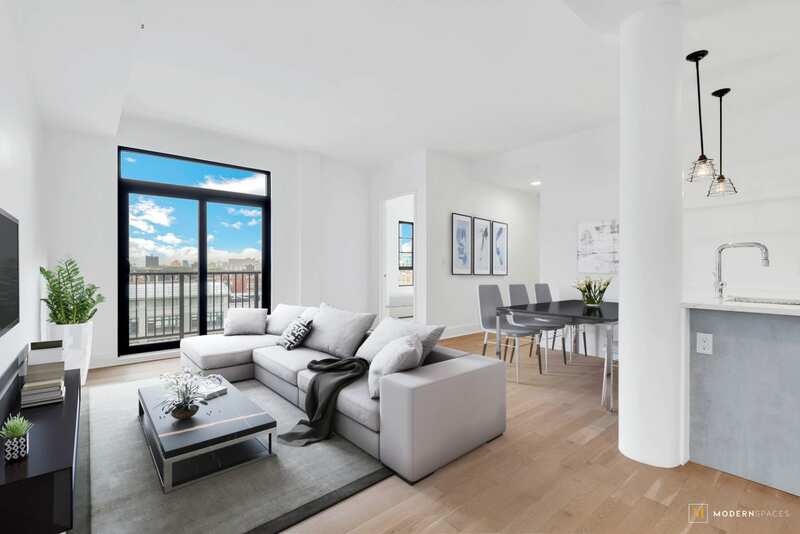 Situated in one of Long Island City’s most vibrant neighborhoods, the Decker’s red brick exterior contrasts with the modern, carefully designed condominiums inside offering tranquility, space and light. The result is a reimagined and inspired collection of one to three bedroom apartments that represent the ultimate in luxury design and craftsmanship. 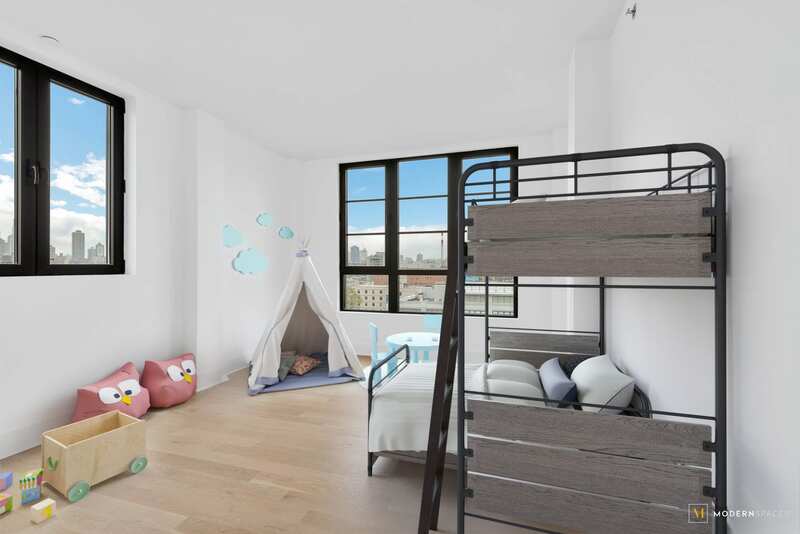 Each unit features a gracious layout with modern details, including a dedicated Daikin HVAC system for individual heating and cooling, and engineered select 4-inch wide natural oak flooring. Chef-inspired kitchens resonate with a deep appreciation of fine craftsmanship, instilled with modern conveniences and refinement; a space designed and formed with a keen eye to detail. Beauty and functionality are integrated in each, pairing custom Miton Cucine Italian cabinetry with Bosch appliances. Bathrooms are outfitted with Grohe and Kohler shower fixtures, along with Kohler toilets, sinks and bathtubs. Outstanding amenities offer a respite from the hectic pace of urban life. Every detail of The Decker has been designed to accommodate the modern city dweller’s needs and to provide the comforts and services of a luxury building. The building features great entertaining options when it’s time to unwind: a lounge; an outdoor “backyard” space, with barbecue grills, greenery, and lounge furnishings, a rec room, with a pool table and other amusements; and a fitness center, along with a convenient virtual doorman. 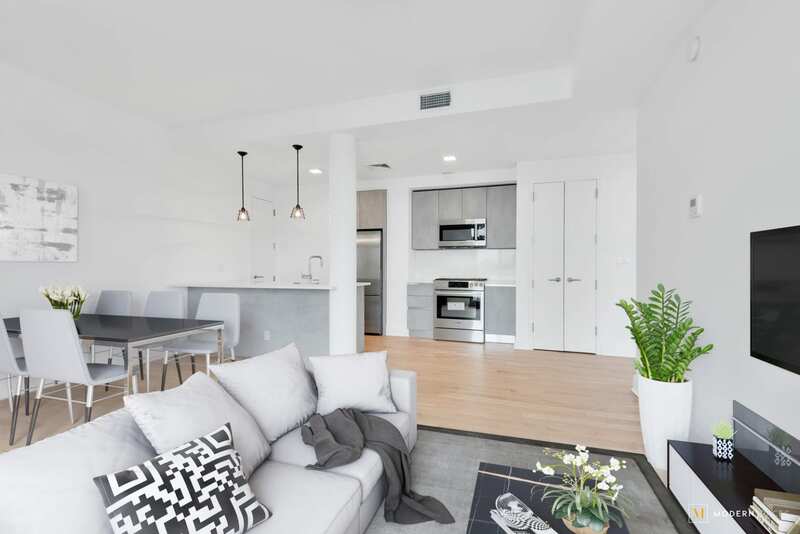 Court Square is one of Long Island City’s most fascinating neighborhoods — ideally located — with easy access to Manhattan and at the center of all that is so appealing about LIC. The community has quickly become a burgeoning cultural center with a vibrant dining scene and one of the highest concentrations of art galleries and studio spaces in New York City. Stop by MoMA PS1 or stroll through Gantry Plaza State Park, a riverside retreat with playgrounds, fishing piers, and running paths. Savor a delicious meal at Michelin-rated restaurants Casa Enrique and M. Wells Steakhouse or relax at a nearby café. All this and more is what awaits you at The Decker.